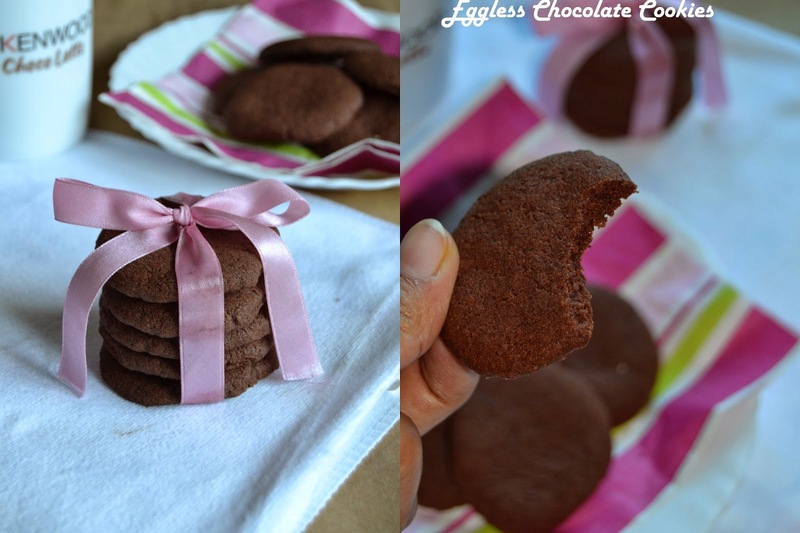 This was in my 'to do' list for a long time and finally made to find out these eggless chocolate cookies. I was searching for eggless plain chocolate cookies and most of the searches ended up with choco chip cookies only. I referred this recipe from divya's cookbook and made some minor variations. These were absolutely melt in mouth cookies with rich butter and choco flavor. I could not resist myself by the aroma of these cookies that were spread around my house when it was done. Mithu and hubby loved it and couldn't believe they were homemade cookies. I shared it with my neighbors, and they too enjoyed it. 1. Sieve the maida, Corn flour, cocoa powder and baking powder twice to ensure even mixing and keep aside. 2. In a wide bowl beat the butter and sugar until creamy and add the vanilla essence. 3. Slowly add the flour mixture little by little and knead to a smooth dough. If you find it dry add 1 - 2 tbsp milk. 4. You can refrigerate the dough for 15 mins at this stage as the cookies tend to spread generously while baking. I chilled it while my oven was preheating. Meanwhile preheat the oven at 150 deg C for 10 mins. 5. Start shaping them into small balls . 6. Press them gently and flatten a bit. Place them on a tray leaving 2 inches space for the cookies to spread. 7. Bake them in the preheated oven for 18 mins or until done. Enjoy these delightful dark chocolaty homemade cookies . You can also add dry fruits of your choice as in the original recipe. While baking, as you cannot find it by color keep an eye after 15 mins and check if it is done. The sweetness of these cookies were enough for us. If you want more sweeter increase sugar to 1 cup. 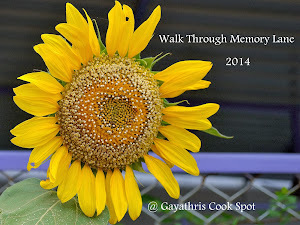 Linking this recipe to Gayathri's Kids Delight event of Srivalli. Look so good dear...yum yummy !! Cookies looks yummy.......... Kids delight! !